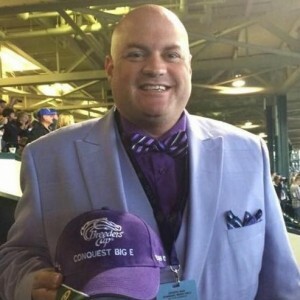 For every live race day of the Keeneland Spring meet, I will be analyzing the finale for each card. We’ll call it the “Bail-Out Special” — in case you had a bad day at the track and you need JUST ONE WINNER to right the ship. We are going to try our best to give you that advice and counsel and hope that we all can get some “dinner money” for the night. No matter how you use it, it’s my goal to pick THE WINNING HORSE in the finale — I won’t be too concerned about the morning line odds. I’ll actually be handicapping the race before the odds are announced. So my selection may not be the “value play” in the finale — just my opinion on who I think will be, can be, may be the WINNER. At the least, we are “all in” together. After starting the meet by losing on Thursday and Friday, my Bail-out Special was a winner on both Saturday and Sunday. On Wednesday, the finale is a very tough claiming race, so the streak is in jeopardy, but I’m feeling up to the task. Horseplayers are a superstitious lot and I’m no different. I wrote some pretty in-depth race previews the first two days of the meet and lost, then was more “straight to the point” on Saturday and Sunday and won both days, so I’m going to just jump right in. My Keeneland “Bail-out Special” for Wednesday is #9 BUGGY BROWN for owner Maggi Moss, trainer Tom Amoss and jockey Florent Geroux. This horse was tabbed as an 8-1 shot on the morning line, but I think that’s a mistake–expect less than half those odds come post time. I see 7/2 a possibility when the gates open. Moss claimed this one last out at Fair Grounds in February. Amoss is better than average with horses first off the claim. Speed has been holding well at Keeneland so far, but this one has a bit of an outside post to contend with. He’ll be right behind the early pacesetter, and should have a nice late kick coming home. Nevertheless, Buggy Brown gets it done. The horses to use underneath in trifecta keys are: #1 Fifth Title, #2 Parade Blue, and #3 Big Bella Brown. For a horse to really spice up a superfecta, use #4 Jova. Let’s keep the streak intact! Bail-out if you need to or double up on the way out the door.